Prosthodontist vs. Dentist: Which is Right for You? If you are searching for a Brookline dentist online, it is possible that you’ve seen the word ‘prosthodontics’ on our site and moved on to the next listing. Our hope, however, is that you take a moment to learn the difference between a prosthodontist and a dentist. A dentist is a person who has completed the necessary undergrad and postgrad schooling, exams, residency, licensing, and every other prerequisite before earning their Doctorate of Dental Surgery or Doctorate of Medicine in Dentistry…DDS or DMD: they are the same degree with different names depending on where they were obtained. Throughout the 8 years of school, a dentist learns to diagnose oral health conditions. They extensively study ways to restore teeth due to decay, disease, or trauma. Additionally, they master ways to improve their patients bite, speech, and sleep. Besides all this, dentists take courses throughout their career to stay current with new technology and advances in dentistry. In a nutshell, the practice of dentistry is to improve and maintain the oral health of patients. In addition to the practice of general dentistry, a dentist can choose to specialize in a specific field. Orthodontists, for example, focus on issues surrounding one’s bite, work to straighten teeth, correct gaps, and manage any cases regarding the jaw bones and bone structure. Oral Surgeons specialize in oral surgery. Endodontists specialize in the treatment and care for the dental pulp often using microsurgery to repair damaged nerves or tissue. One other type of dental specialist is a prosthodontist. Prosthodontists, like our Brookline dentist experts, specialize in dental appliances. In all, there are nine different areas of dental specializations. Dental specialty fields typically require an additional 2-4 years (sometimes more) of school once the dental degree is acquired. This is where your care comes into play. The extra years of study, school, and hands-on experience mean a prosthodontist has the tools and knowledge to correctly repair issues. 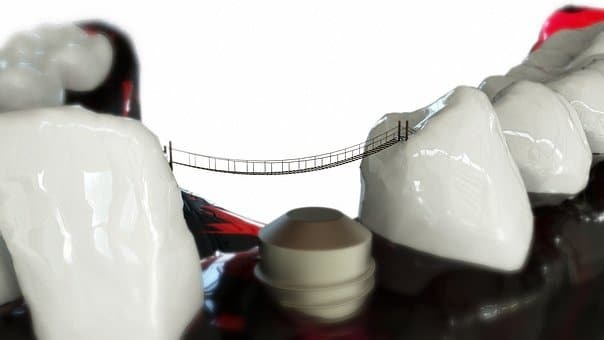 Bridgework, crowns, bonds, and any other type of dental appliance used in order to restore your smile is best suited to be performed by a prosthodontist. In the end, we hope you choose a Brookline dentist that is perfect for you. You should feel comfortable to speak with your dentist about any topic regarding your oral health. With a board certified prosthodontist, you get the benefit of a general dentist’s knowledge and skill with the added bonus of extra training should you ever need any restorative or cosmetic dental work done. The three extra years of school that prosthodontists attend helps them often exceed the capabilities of a family dentist. At Brookline Progressive Dentistry, our training and experience lets us offer our patients a complete package of oral care. From family dentistry to cosmetic and restorative dentistry, you can rest assured that your teeth are in great hands. Learn more about our capabilities and dental services by following us on Facebook. We’ll keep you up to date with the latest in dentistry advancements. Call our office with any questions you may have as we are happy to help you find the best Brookline dentist for your needs.